MLRS alert! A new trailer for Wargame: European Escalation, comprised of in-game footage, gives you a look at some of the more iconic NATO units from the 1975-1985 Cold War era. I came away impressed when I saw it in action at gamescom last year, and Casey Baker took a look at the multiplayer aspects last October. For some reason nobody seems to be very excited about this upcoming strategy game from the Act of War and R.U.S.E. developers, so let me help you with that. Think Total War-style tactical combat on larger maps with tanks and rocket artillery, and you're halfway there. Rocket artillery, guys! 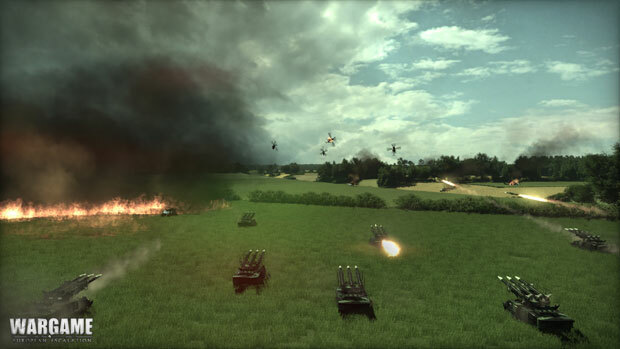 We'll fire off some MLRS salvos when it's released on PC this February.